Intern Jean-Hubert visits Dogfish Head Brewery! Here is a new post from me, Jean-Hubert Fabre, the French intern at Total Wine & More! Last Thursday was an amazing and exciting day for me and my colleague Rob Hill (Twitter: @TWMBeer) – we visited the Dogfish Head brewery in Delaware. French people do not yet have the same beer culture as here in America. We drink beer, but most of the time they are large brands such as Heineken or 1664. We do not have stores like Total Wine and More, which provide a huge quantity of craft beers. So I was really excited for my first visit to a brewery! We had a beautiful trip from the Total Wine & More headquarters in Potomac, Maryland to both Rehoboth and Milton, Delaware. The weather was beautiful and the landscape before us on the Chesapeake Bay Bridge was gorgeous. It was also my first road trip here in the U.S.A! We arrived at 9:00 am in Rehoboth Beach, Delaware. The beaches looked fantastic but we had no time for that (unfortunately!) We had a meeting with Justin Williams, a marketing team member, in the Dogfish Brewpub. Upstairs, they have a distillery and a small experimental brewery. It was unbelievable. We filmed all of this in order so you can discover the fabulous world of Dogfish. I am convinced that you will enjoy the videos. That’s why the Customer Experience team is working to share them as soon as possible! To complete the brewpub visit, we concluded with a delicious lunch on the patio with a vine of hops overhead. 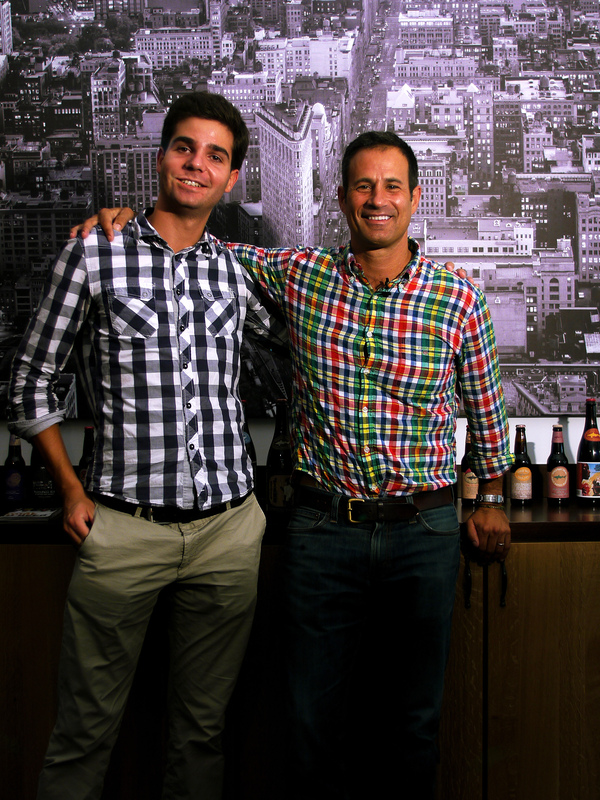 In the afternoon, we met Sam Calagione, the founder and President of Dogfish Head. He spent time with us to describe his fabulous products and to talk to us about his first meeting with David Trone, founder and co-owner of Total Wine and More, many years ago. For me, with my French viewpoint, these two men realized what is called the “American Dream”. They created a successful company from nothing, except an iron will and a great idea. Dogfish Head is younger than Total Wine and More. It was created in 1995. It was Delaware’s first brewpub when it opened in Rehoboth Beach. It was also the smallest commercial brewery in the USA. With a very high quality of beer and delicious food, it was certain that the success would follow. Seven years later, in 2002, they moved all their production to Milton, Delaware, into a 100,000 square foot facility! I’m thinking about being an intern in France and road-tripping to the Cognac vineyards and sipping Absinthe in a smokey downtown Paris cafe. Actually, that should be my next novel. Nice post, Jean-Hubert. Wish I could have gone to Dogfish with you and Rob.